King's Gambit Declined - Chess Gambits- Harking back to the 19th century! This is also known as the Classical Variation. Black declines the gambit and instead develops a piece and makes White's kingside castling problematic by covering the g1-square. 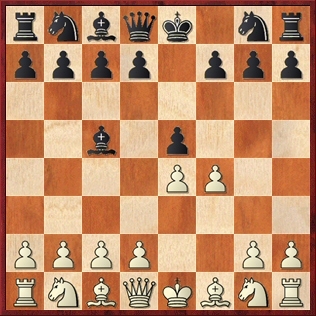 If Black wants a dynamically equal, but relatively closed, game, with level material, then this line is a reasonable option, although I think that White has more chances to get an advantage here than against the Modern Defence (1.e4 e5 2.f4 exf4 3.Nf3 d5, which can also be reached via 1.e4 e5 2.f4 d5 3.exd5 exf4, avoiding the line 2...exf4 3.Bc4 d5 4.Bxd5). Since Black is threatening major disruption in the white kingside with 3...Bxg1 followed by 4...Qh4+, White should play 3.Nf3, and then Black should play 3...d6 due to the threat to the e5-pawn. Then White has a choice. This is White's most ambitious option, aiming to gain control of the centre. Black then has to find 4...Bb6! in order to keep the chances level, getting the bishop out of the way of the impending attack and enabling Black to meet 5.d4 with 5...exd4 6.cxd4 Bg4. White's best follow-up is probably 7.Be3 followed by 8.h3, with the idea of meeting ...Bxf3 with gxf3, accepting a compromised pawn structure and long-term issues with king safety but gaining a powerful mass of central pawns. Chances are then approximately equal. I don't think that White gets much with the main alternative, 5.Na4 Nf6 counterattacking against e4. 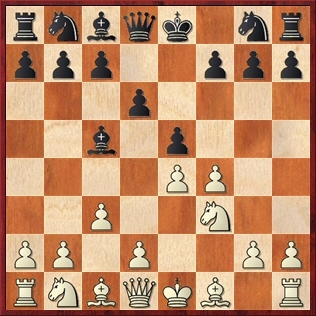 White simply develops and has ideas of f4-f5, Nc3-d5 and Bc1-g5, giving attacking chances. A common motif in this line is that if Black plays ...Bg4, pinning the knight on f3, and exchanges off the knight and meets Qd1xf3 with ...Nc6-d4, White can often get away with moving the queen to g3, allowing Black to grab the pawn on c2 and the rook on a1, in return for getting a strong attack starting by taking Black's g7-pawn. The main continuation runs 4...Nf6 5.Bc4 Nc6 6.d3, after which Black can choose between 6...Bg4 and 6...a6 and also has a few other options, of which 6...Na5 is probably the most interesting. White will often attempt a slow build-up in the centre and on the kingside, and can also harass Black's c5-bishop in many lines with Nc3-a4, gaining the bishop-pair and a better pawn structure but at the cost of development. 6...Bg4 7.Na4 0-0 8.Nxc5 dxc5 9.0-0 is probably the most important line. Objectively, Black might be able to equalise, but I generally prefer White's position, which can produce some good kingside attacks. Black has an interesting alternative in 4...Nc6, intending 5.Bc4 Bg4 which is probably a slight improvement over the main line. White can, however, play 5.Bb5 instead, pinning the knight to the king, and Black will typically seek compensation for a pawn following 6.Na4 Bg4 7.fxe5 0-0 8.exd6 Bxd6 (instead 8...Qxd6 9.c3 gives White some advantage).